2018 Luxury boutique ARC THE.HOTEL in Washington, DC! Bid Per Room per Night and Choose Your Length of Stay! Discover the Best of D.C. with All the Comforts of Home. Feel right at home in America’s capitol at ARC THE.HOTEL, Washington, DC, a newly renovated boutique-style hotel that combines rich history with the latest technology, service, and style. 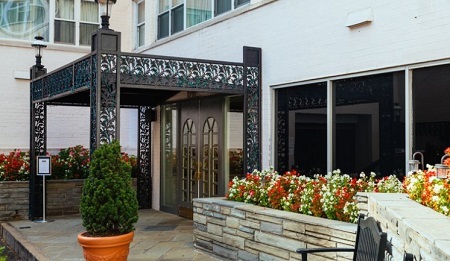 Walk to trendy Foggy Bottom and Georgetown shops, restaurants, nightlife, and famous attractions. Relax in one of the 136 stylish, spacious rooms with Frette luxury linens and city or Potomac River views. Customize your stay with our mobile concierge, effortlessly stream your favorite shows to our 55 inch HDTVs, and enjoy four-diamond service. Offer is based on single or double occupancy in a Guest Room for 2 in a Intimate Queen Bed Room. Stay for a minimum of 1 Night or up to 7 nights as desired and based on availability.